All articles on Flexatone HFP, alphabetized. athenaCL: modular poly-paradigm algorithmic music composition in a cross-platform interactive command-line environment. Equus: music and sound design for the play by Peter Shaffer, directed by Matthew Kwatinetz. Indiscretion (101): music and sound design for the film written and directed by Alexis Lloyd. music21: Framework for Computer-Aided Musical Analysis and Manipulation. Prelude to Darkness: music and sound design for Zero Sum Software, Inc.
TaikoProject: (re)generation: music and sound design for 2003-2004 tour. 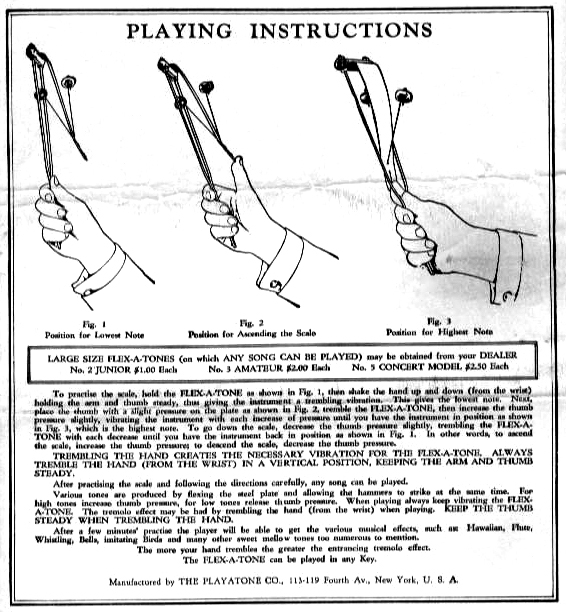 Historical instructions for the original flex-a-tone. More information. 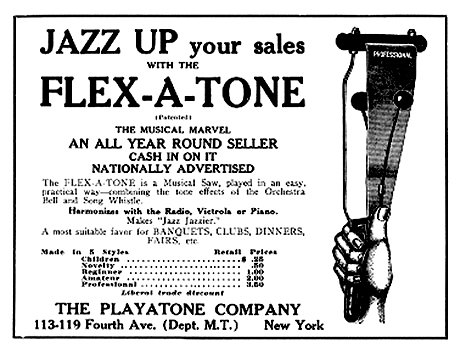 Historical advertisement for the original flex-a-tone. More information.